30 Day Challenge. And Easter. 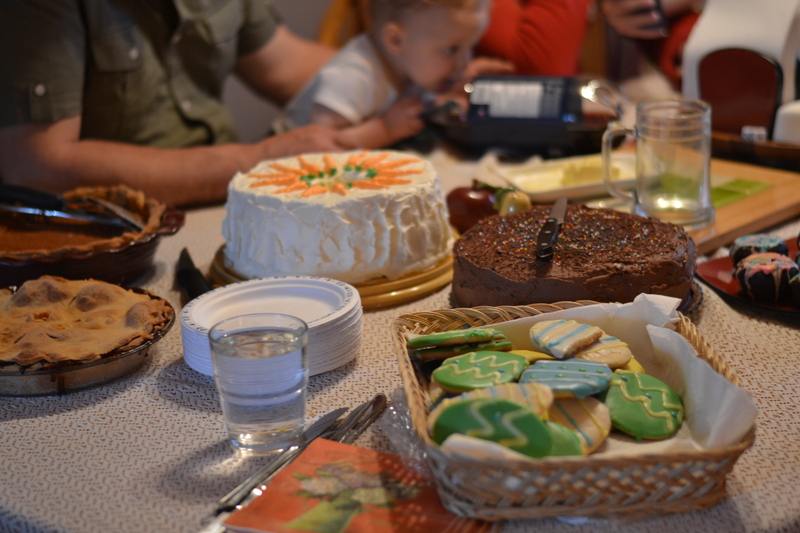 Wait – a cake too. So, I came across a challenge on Tyler’s blog (which initially came from Elle’s blog). It’s called the 30 Day Challenge (pretty self-explanatory, no?). I’m going to attempt to do it. 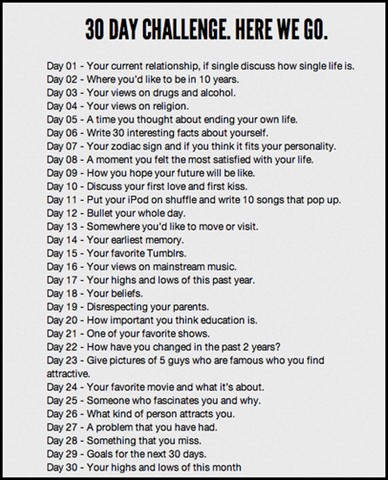 I don’t promise to do all 30 days consecutively, but I will try my best to do all 30. This way, you can get to know me better, and it’ll change things up a bit too. Hope you enjoy. And I’d love to hear from you – your thoughts, comments, and questions. 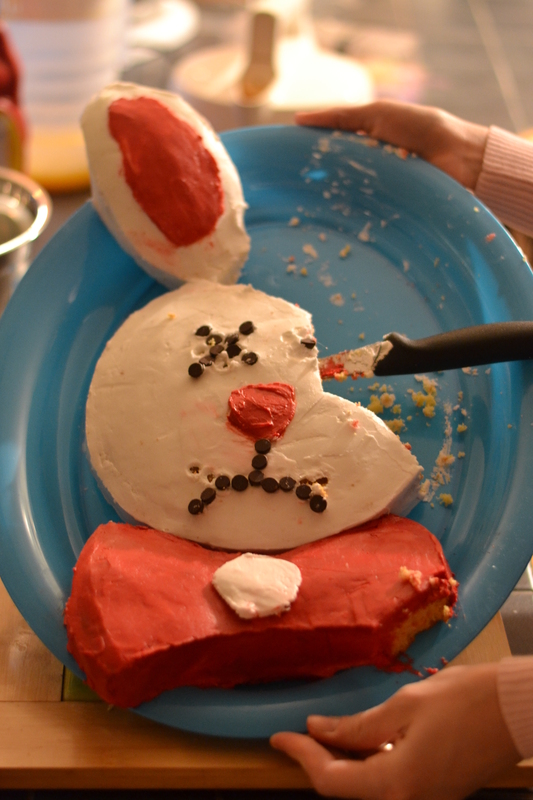 But for now, I’ll (finally) share my Easter with you. And my brother’s birthday cake. 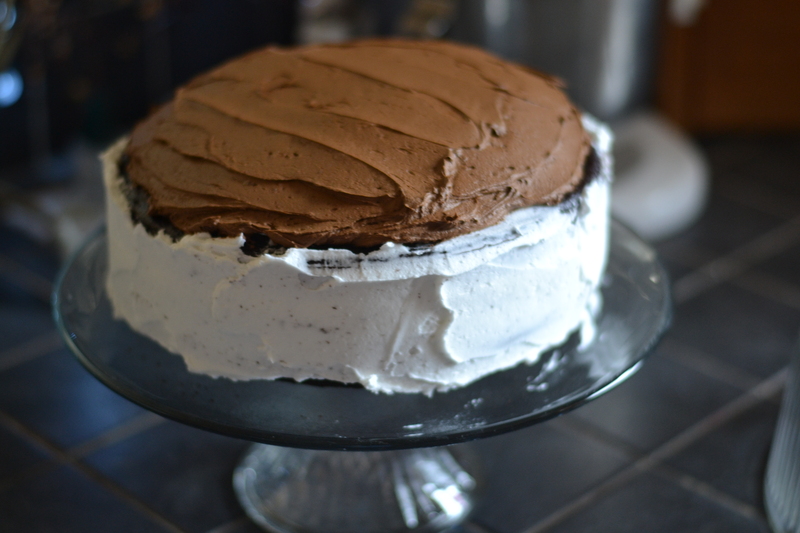 First – the cake. I had asked my brother what kind of cake he wanted (mostly wondering what I should decorate…), but all he said was chocolate. He wasn’t very much help. I already knew that. Anyhow. I thought about it for awhile, and came up with something quite easy, but that fit. He has been set on watching all 9 seasons of X Files with my husband. So – the X Files logo it was. Sides first, then the top. 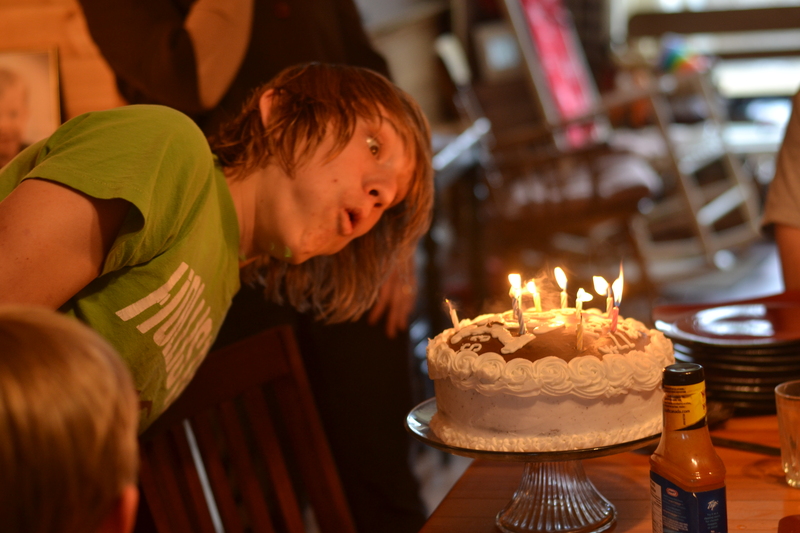 Then to the logo, the edges… The blowing of the candles. Now to Easter. First off, our Easter is a little bit different from a lot of people. We grew up without the Easter bunny. Instead, we focus on the death and resurrection of Jesus Christ. This is the reason we celebrate Easter. Jesus has risen. And we aren’t just saying this. We really believe that it’s true. Christ, our Saviour, reigns. We also have a family dinner. Which means lots of food. I’m sure I’ve mentioned before that there is no end to food when it comes to my family. It is central to all of our gatherings. I love it. Mostly because, well, truth be told, I love food. I didn’t have a hand at much this year, as we were in the process of moving into our new house. But feast your eyes on what I feasted on. 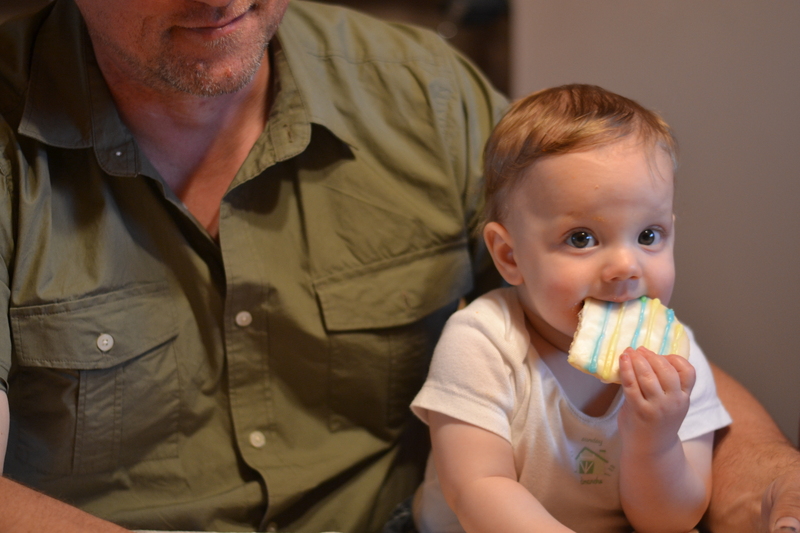 Cael loved sitting with Papa at dessert time… Cookies for him. 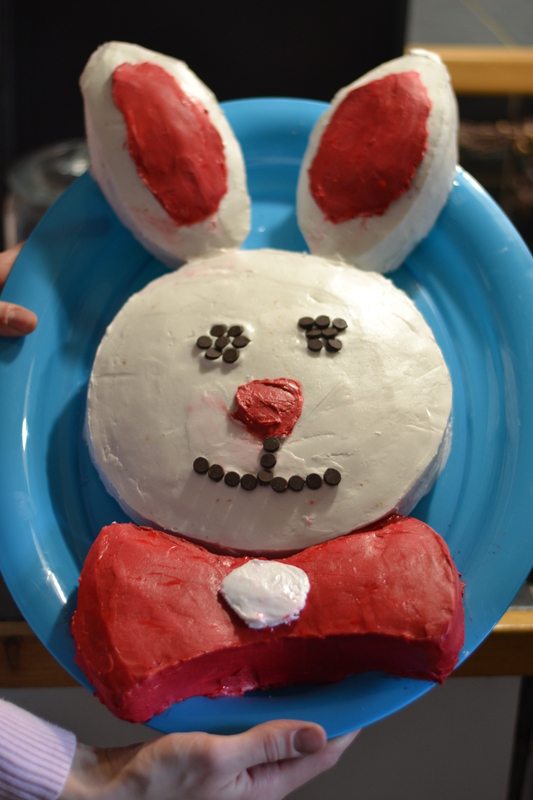 I also made a cake on Good Friday for a bunch of people that came over to decorate Easter eggs. It was a really quick decorating job, but I thought it turned out pretty good. So – I hope that you have a great weekend. I’ll get started on that 30 day challenge soon. Thanks for reading. And sorry my Easter post was so late. Better late than never?? 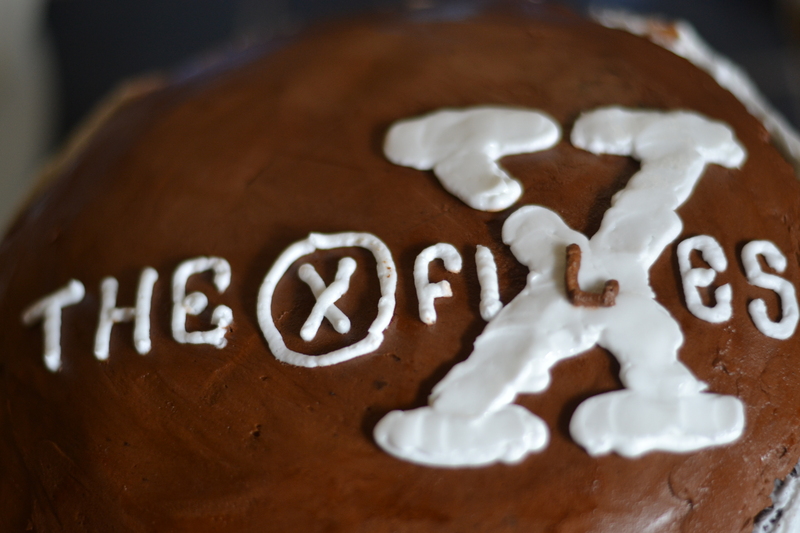 Kayleigh, I adore the X-Files cake!! My mum and I used to watch the show every Sunday night. I started re-watching it on Netflix and I still love it! I’m a sucker for the paranormal. Thanks for sharing!